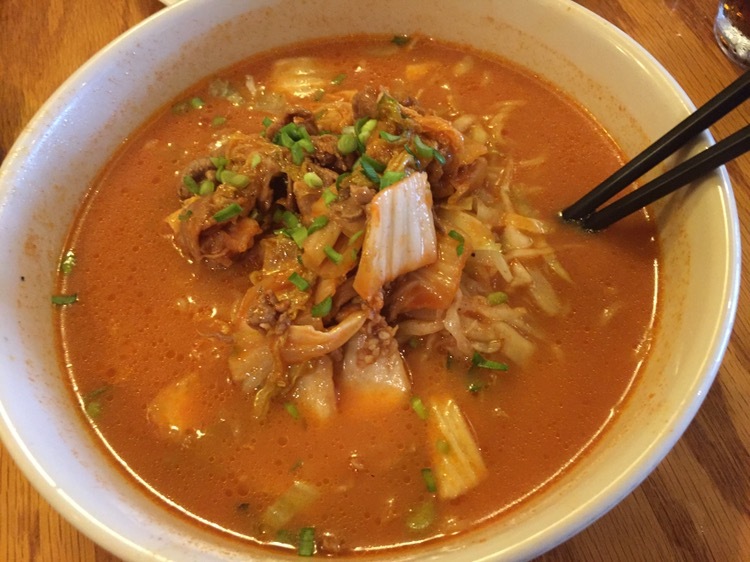 A recent article on Yelp was talking about the best ramen places in Atlanta and Yakitori Jinbei, in Smyrna, made the list. Who knew that they have ramen i n Smyrna? 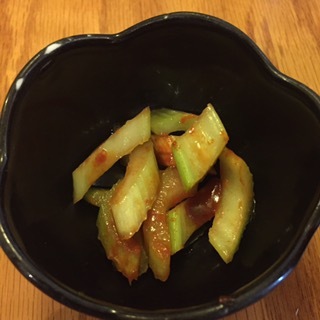 My beloved wife was thrilled that they brought us some kimchi cucumber to start. She finished her bowl and started on mine. As I tend to do in many Asian restaurants, we ordered a lot. 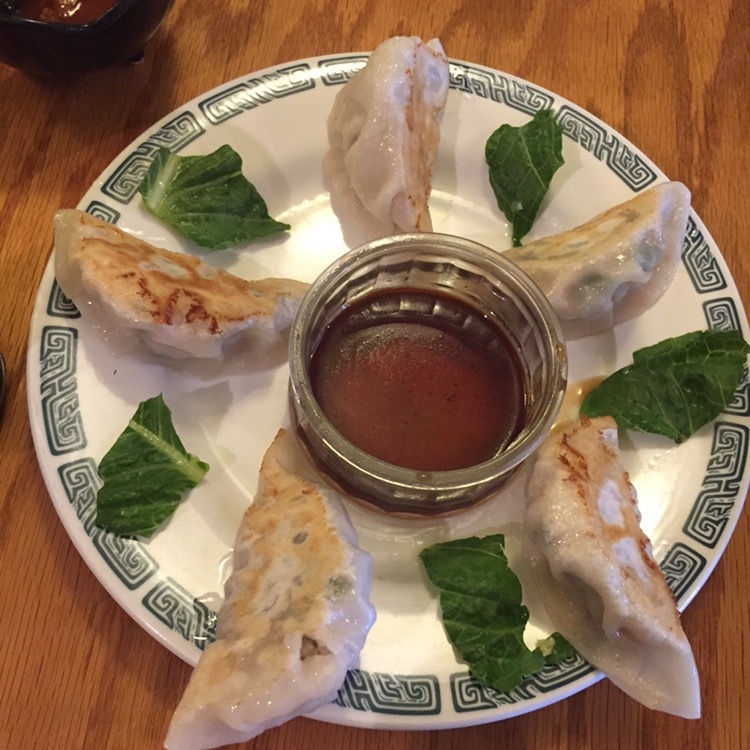 We started with an order of gyoza – steamed pork dumplings – with peanut dipping sauce. Kushiyaki is a generic term for skewered vegetables or meat – the skewer is the “kushi”, which is then grilled over a charcoal fire. They use a specific type of imported Japanese charcoal here called Binchotan. 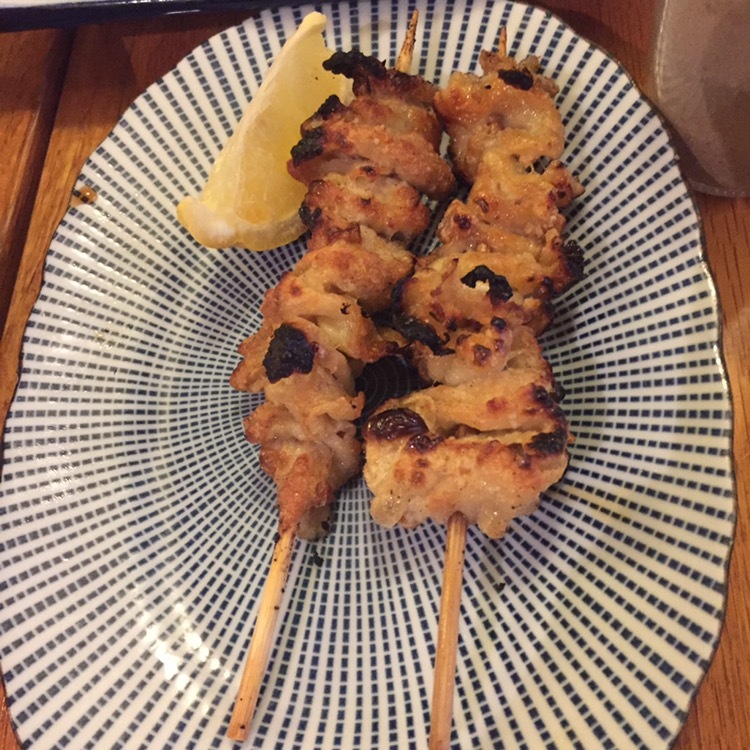 Yakatori is specifically skewered chicken. 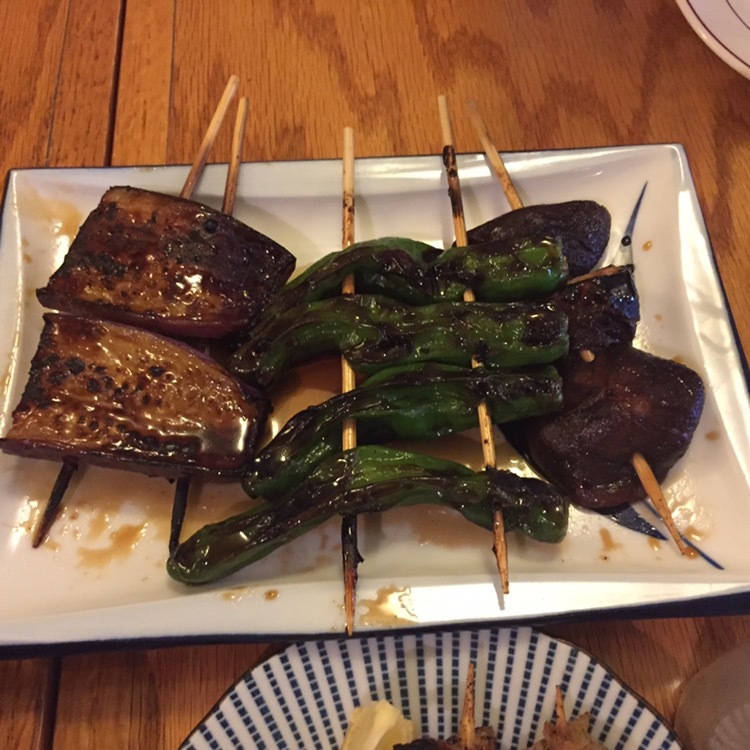 My beloved really enjoyed the mushroom in the mixed vegetable grill, but the jalapeno had some life to it. I wasn’t sure about the chicken skin one, but it was surprisingly good. I always enjoy the skin on fried chicken, so I don’t know why I was shocked that I liked it. 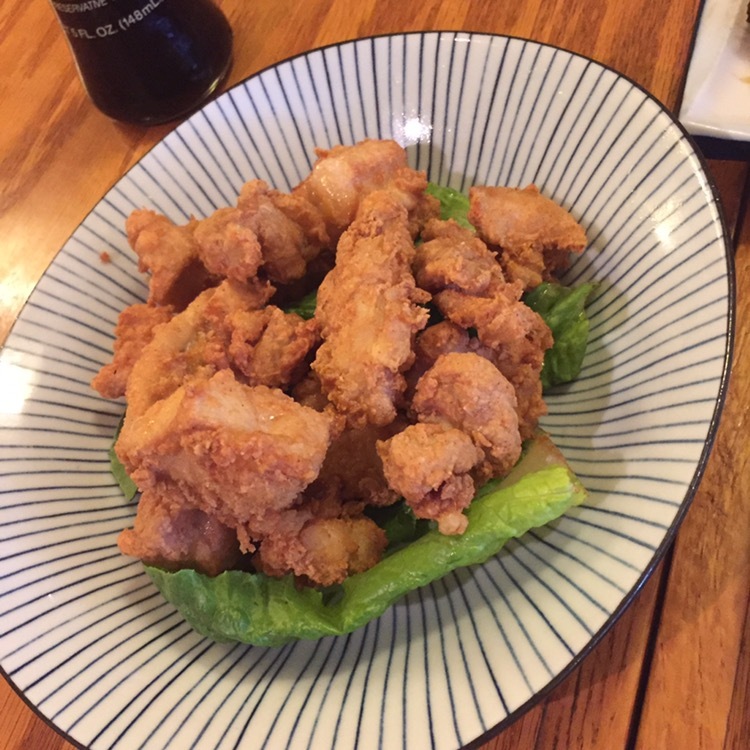 We also had some tori karaage (Chinese chicken nuggets) – I usually order a side of these whenever I have ramen. For the meal, I was there for the ramen. I went with the standard pork tonkatsu ramen. 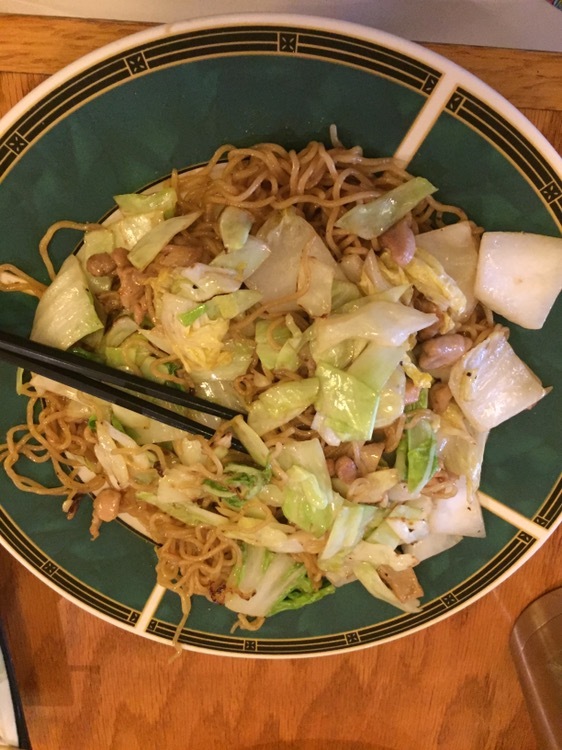 My better half ordered the yakisoba with chicken. It was very heavy on the cabbage, which was fine with her but I would have left a big stack on one side of the plate. 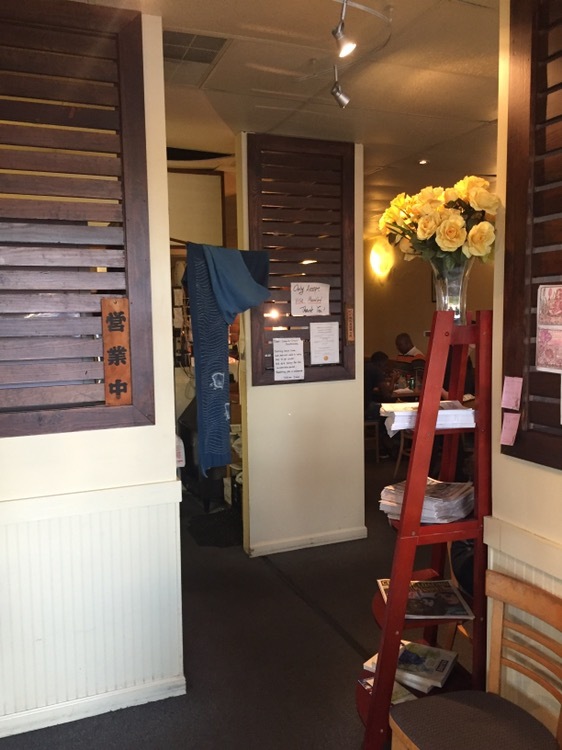 It was surprising to me to find this caliber of a Japanese restaurant this far from Buford Highway, as most every other Japanese restaurant in Cobb County seems to be either hibachi or sushi.